You are here: Home / Celebrity Video / Rixton Performs An Acoustic Version of “Hotel Ceiling” Live At YouTube LA! – Watch Here! 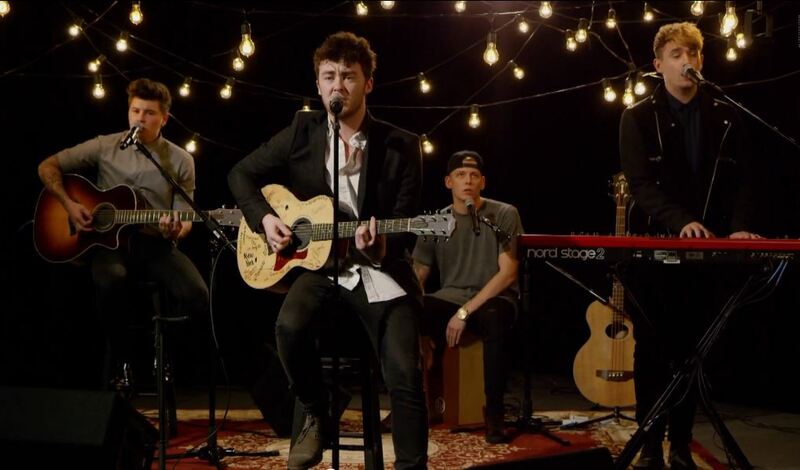 Rixton Performs An Acoustic Version of “Hotel Ceiling” Live At YouTube LA! – Watch Here! The guys of Rixton – Jake, Charley, Danny and Lewi – perform their latest hit single “Hotel Ceiling” live in the studios of YouTube Space in LA. What makes their performance even better is that it is an acoustic version of the song! Be sure to take a listen by watching the video below and let us know what you think by commenting! « Shawn Mendes Reveals Debut Album Cover And Release Date While On ‘The Today Show’!